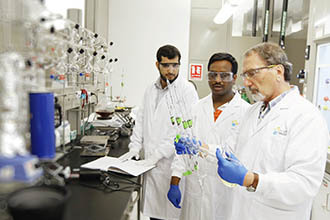 ​The Advanced Membranes and Porous Materials Center (AMPMC) at KAUST develops novel materials and cutting-edge process technologies that provide solutions to challenges related to industrial separations with a particular focus on energy and water as well as environmental sustainability. Researchers in AMPMC develop membranes and porous materials for separations in the fields of natural gas and petrochemicals, carbon capture, and the production of potable as well as industrial water. ANPERC produces fundamental multidisciplinary research, disruptive technologies, and academic and engineering talent to address the world's pressing energy problems from a geo-engineering perspective. Research at ANPERC focuses on developing methods for increased hydrocarbon recovery with reduced environmental and economic costs related to reservoir access and production. 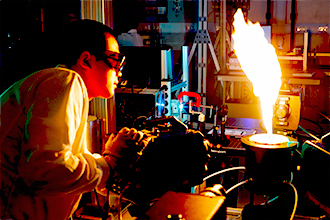 The challenges arising from the combustion of fossil fuels, such as pollution, global warming and climate change, are among the main concerns of researchers at KAUST's Clean Combustion Research Center (CCRC). The activities of the Center span both fundamental and goal-oriented research in fuel formulation, fuel diversity and the control of emissions from internal combustion engines to turbines. 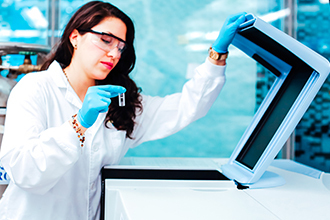 CCRC utilizes both experimental and computational tools to develop predictive capabilities to design fuels that are more efficient and less polluting. Projects include the development of innovative combustion processes with cleaner-burning fuels coupled to advanced technologies for their sustainable use with emphasis on ease of production, energy efficiency, and abatement of airborne pollution. 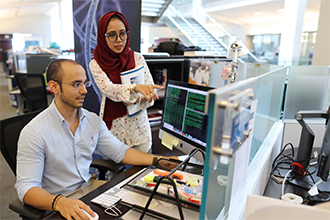 ​Research at the KAUST Computational Bioscience Research Center (CBRC) encompasses computational biology and bioinformatics with applications in the life sciences. Researchers at CBRC develop computationally driven methodologies, tools and resources to speed up the process of biological discovery. 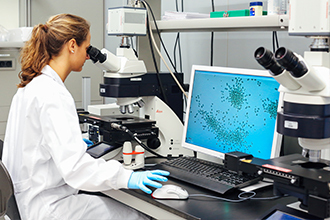 By developing methods to store, retrieve, organize and analyze vast amounts of data, the Center contributes to areas such as biotechnology and food, medicine, safety, and environmental protection. ​The Extreme Computing Research Center (ECRC) creates algorithms and develops software to harness the exponentially increasing power of computer hardware for predictive simulation and to understand and exploit the deluge of digital scientific data produced at KAUST and beyond. 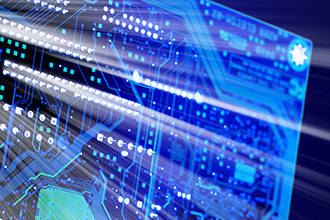 Researchers at ECRC focus on computational simulation and developing algorithms and applications for emerging computing architectures. 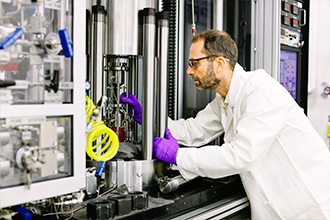 The KAUST Catalysis Center follows a multi-disciplinary approach to catalytic technologies. 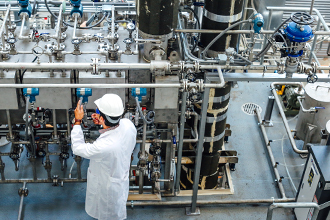 KCC develops new catalytic processes across the chemical, petroleum and new energies industries with the aim of increasing resource and energy utilization while reducing waste and overall environmental footprints. 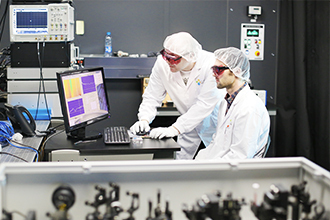 The KAUST Solar Center draws together experts in materials science, chemistry and physics to explore innovative solutions for the harvesting and conversion of solar energy. KSC researchers study the fundamental processes involved in the conversion of photons into electricity and exploit their findings to design and develop the state-of-the-art materials used at the core of energy-harvesting photovoltaic panels. In addition, the Center is involved in research and development studies aimed at minimizing the cost of photovoltaic panels while optimizing their performance in the sun-bathed but hot and dusty climatic conditions of the deserts of the Arabian peninsula. ​The KAUST Red Sea Research Center (RSRC) is developing an integrated understanding of the various ecosystems of the Red Sea. In particular, emphasis is placed on coral reef ecosystems and their oceanographic context. Efforts are directed at gaining an understanding of the interplay between physical, chemical, biological, and geological factors as well as the stresses arising from natural and anthropogenic causes such as overfishing, coastal development, and global climate change. A main goal of the RSRC is to develop methods to sustain and conserve coral reef environments along the coast of the Red Sea. ​Researchers at the KAUST Visual Computing Center (VCC) use multiscale modeling, multidimensional modeling and simulation techniques to develop methods to sense, model, simulate, process, understand and visualize all forms of visual information. 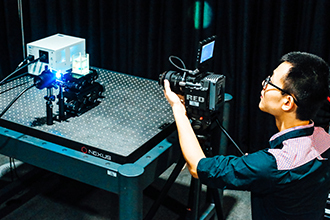 VCC specifically develops novel applications for computational imaging and display, image and video understanding, geometric modeling and design, physical simulation and measurement and scientific visualization.